in addition to our specialized curriculum. 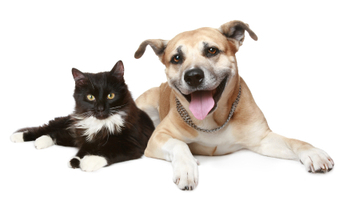 Private classes allow you the extra time to fully understand your pet first aid and CPR course. We know it's a lot of information and with one on one time with your instructor you can learn to adapt the the knowledge and techniques taught , to your life style and specific pets. Private classes are paid for in advance and then we will call you and set up a time, date and place! Valid only in parts of Orange, Los Angeles, San Diego, Riverside, Ventura and San Bernardino Counties within 60 miles of Anaheim, CA. $210.00 - $300.00 tailored to your needs in addition to our specialized curriculum. We have new programs available for In home Classes. Option #1 We come to you, within a 100 mile radius of Anaheim, Ca. Driving fees for locations outside of our radius are reasonable and paid by the host. Cost is $85.00 per person. Minimum attendance of 4 and a minimum rate of $340.00, paid in full prior to scheduled date. Class is 4 hours long. This class is fun because they are semi private and personable. No refunds for guest that don't show, those funds will be donated to the www.emmazenfoundation.com. Option #2 We come to you, within a 25 mile radius of Anaheim, Ca. Driving fees for locations outside of our radius are reasonable and paid by the host. Cost is $80.00 per person. Minimum attendance of 4 and a minimum rate of $320.00, paid in full prior to scheduled date. Class is 4 hours long. This class is fun because they are semi private and personable. No refunds for guest that don't show, those funds will be donated to the www.emmazenfoundation.com. Our 72 page manual can be purchased for an additional $20.00 for the classes above, upon advanced request. Please contact us for further information on these options and others. Option #3 We still come to you, within a 25 mile radius of Anaheim, Ca. Driving fees for locations outside of our radius are reasonable and paid by the host. We call this our Pet Safety Course! We discuss pet emergency preparedness, evacuations, pet CPR and choking, pet safety and can include topics that may address your specific needs. This is not a pet first aid & CPR course. Class is $35.00 a person, minimum attendance of 6 and minimum rate of $210.00 paid in full prior to scheduled date. Class is 2.5 hours long. No refunds for guest that don't show, those funds will be donated to the www.emmazenfoundation.com. Option #5 Our regular class is 5 hours and $100.00 it includes a lunch time break and snack and a pet first aid book that is so stuff full of information we don't even have the time to go over the whole thing in this time frame. In this type of situation each individual pays. A closed class can be offered for rescue group and other pet hosted programs. Or we offer classes to groups of 10 for $499.00 where one person pays the flat fee and 10 may attend. This is a 4 hour class and includes hand outs but not the book itself. Option #5 Are you a company or corporation? Register our nonprofit (www.emmazenfoundation.com) and we will host an employee giving party at your location. For more information please contact Debra Jo Chiapuzio directly emmazenfoundation@hotmail.com This class is NOT for the general public and is only available to firms with 50 employees or more. ​the Emma Zen Foundation because your pets safety is as important as yours!